Besides her superb acting skills, Ayeza is also popular for her beautiful and attractive features. Her beautiful bridal shoots always give Pakistani girls inspirations for traditional wedding looks with a modernistic touch. 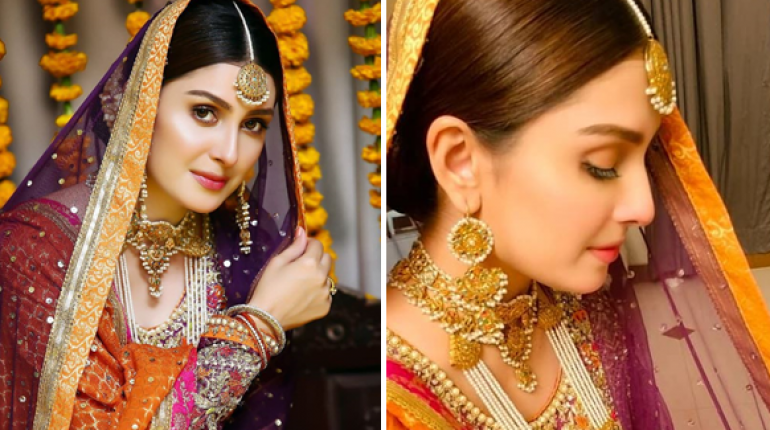 Dolled up in beautiful traditional outfits, adorned with beautiful jewelry and carrying a soft makeup glow, here are some of the best bridal looks of Ayeza Khan. 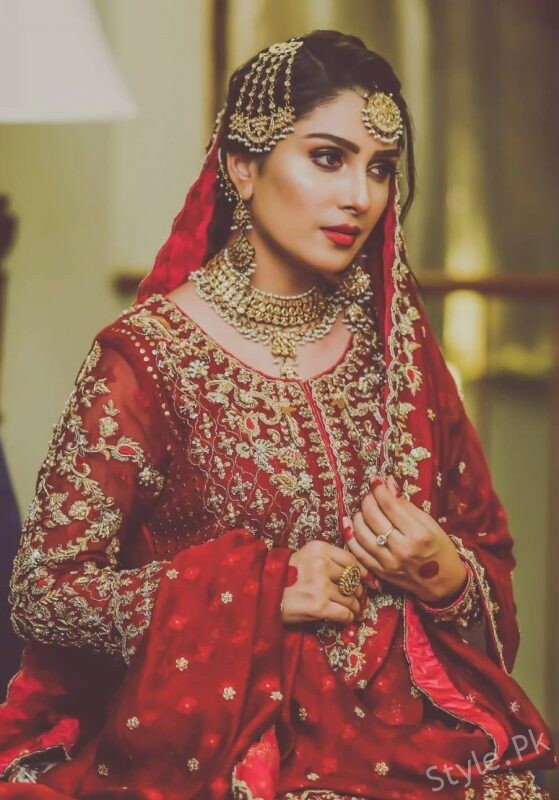 Ayeza’s looks are a motivation to every Eastern bride-to-be: Carrying a minimal and simple makeup always enhances natural beauty of your features, and that simple has always been beautiful. 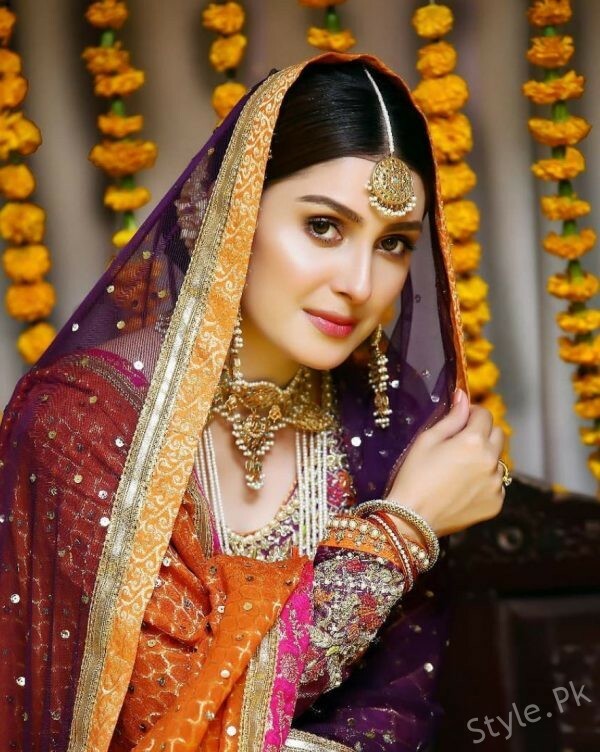 Ayeza Khan is the awe inspiring and one of the most gorgeous actresses of Pakistan television industry. She is also an outstanding model. 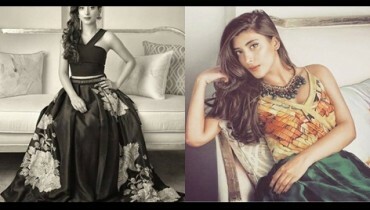 Ayeza earned huge fame through the super hit TV serial ‘Pyaray Afzal’ of ARY Digital for which she won ‘Best TV Actress’ award by Lux Style Awards. She is also a stunning model who has done modeling for many top designers of Pakistan. 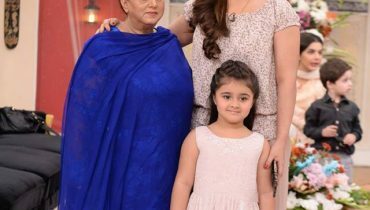 She has done many photo shoots and has walked on the ramp of many popular fashion shows as a couple with her husband Danish Taimoor. 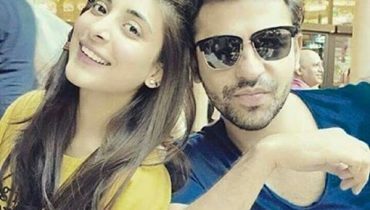 Danish is also a successful actor of Pakistan and they got married in August of 2014. They became parents of a gorgeous daughter Horrain Taimoor on 13thJuly, 2015.